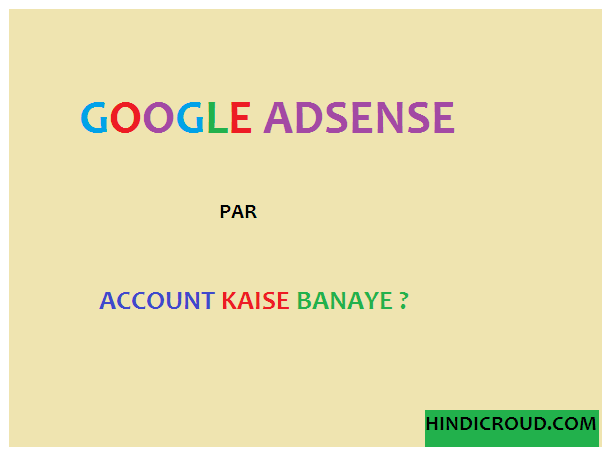 Home ADSENSE Google Adsense par Account Kaise banaye? Google Adsense par Account Kaise banaye? 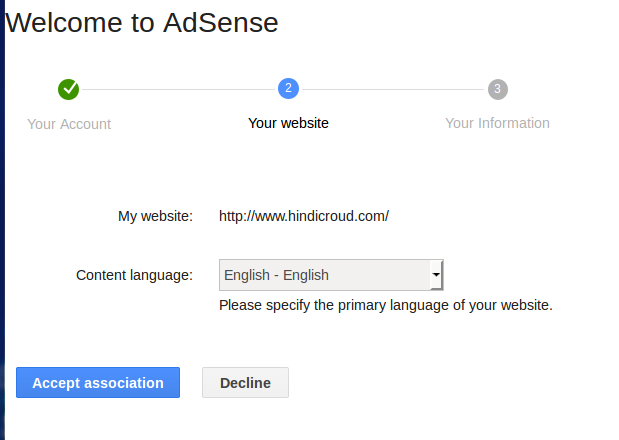 Google Adsense par Account Kaise create kare? Step-3 Is step me apko apni Website or Blog(without Http://) fill karke Content language choose karni hogi ab "Save and Continue" par click kare. Step-4 Yeh step information step hota hai jisme apko apni Contact information Entries fill karni hoti hai jaise ki County,Time zone,Account type,Payee Name,Address,City,State,Postal code(pin code) etc. Note-Dosto Dhayan rakhe Payee Name vo hi hona chahiye jo apke Bank account me name hain,apko Google adsense Payee name par EFT(electronic fund transfer) paymet bhejega,Agar apne ek baar wrong Payee Name fill kar diya to aap phir isko change nahi kar sakte. Dekho list of countries aap jaha Payee name change nahi kar sakte,So be alert. Step-5 Is Step me apko Google Adsense Policies ko padhkar 3 Boxes par click kare, Dosto ek baar sabhi entries ko dekh lo ki apne sabhi entries correct fill ki hain agar "Yes" click on "Submit" Ab next page par apki application Review page ayega jis par aap apni fill ki hui entries ko dekh sakte hain.Dosto agar aapko Adsense se related koi bhi problem aa rahi hai to aap niche comment kar sakte hai. Dosto Ummid hai Aaj ki Yeh Post Google Adsense par Account kaise banate hai paisa kamane ke liye(How to create Google adsense Account) apko pasand Aayi hogi,Agar aapko koi problem Aa rahi hai to aap niche comment karey main apko bataunga ki aap logo ne kya galti ki hai aur usko kaise thik karna hai,Agar Dosto aap sabhi ko yeh article Pasand aaya ho to isko apne Dosto ke bhi sath Share karey Facebook,Twitter,Linkedin etc. social netoworks par share karey.